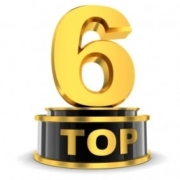 Attaining Lean Six Sigma Black Belt certification is tough, but the good news is that many different study materials and programs for it can be found online. That being said, the plethora of educational options available for students can make finding the best online study course a major challenge and a source of anxiety. How can a student with virtually no Lean Six Sigma knowledge or experience know which Black Belt course is right for them? 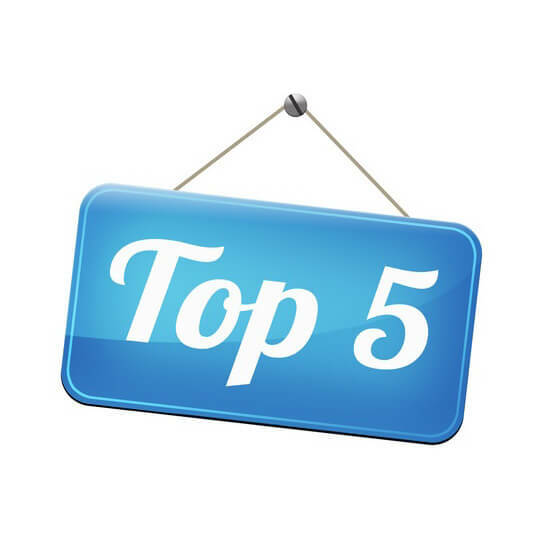 We’ve conducted a great deal of research and analysis in order to find the best online Lean Six Sigma Black Belt courses around. Specific features are outlined for each one in the chart below, making it easy to find out what some courses provide that others don’t. So what are you waiting for? 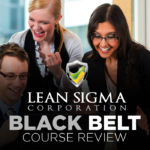 Keep reading to find out more about how you can CRUSH the Lean Six Sigma Black Belt exam! Saves Time: For students who have a difficult time fitting extra studying into their already-packed schedule, GoLeanSixSigma is the perfect choice. Even when approaching the highly technical Black Belt level, this prep course makes sure that all lessons are concise and free of filler or mindless busywork. Engaging Story: It’s rare to find a high-quality prep course that also provides entertainment value. In the case of Go Lean Six Sigma and the adventures of their hypothetical business, Bahama Bistro, that’s exactly what students get! 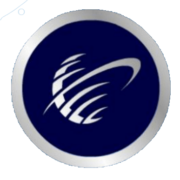 Accreditations and Endorsements: Although there is no one governing body for Lean Six Sigma courses that provides professional accreditations for prep courses, GoLeanSixSigma still provides its legitimacy through its professional associations. In addition to having helped train individuals working for high-profile organizations such as Airbnb, Tesla, Disney, and Amazon, they’ve partnered with prestigious educational institutions such as UCSD and FIU to teach accredited courses. Simple and Easy Communication: Any student who enrolls in GoLeanSixSigma’s Go-Getter Program instantly gain access to several highly convenient channels of communication, both with their fellow students and with professional instructors. There’s a forum perfect for discussing the finer points of their Black Belt curriculum, the aforementioned live Webinars, and instantaneous contact with Go Lean Six Sigma’s Master Black Belt teachers. 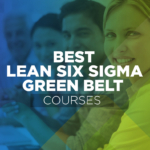 Mandatory Green Belt: All students who choose to enroll in GoLeanSixSigma’s Black Belt course are required to pass their Green Belt course as well. This means that any students who just want to skip ahead to the highest level of project management methodology won’t be able to do so if they enroll in this course. 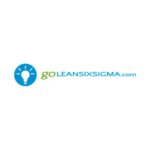 ສາຍທາງລຸ່ມ: If you want to try a Lean Six Sigma prep course that approaches the subject in a unique and interesting manner, GoLeanSixSigma is the way to go. And if you prefer to do things the old-fashioned way, they still has you covered with their frequent Webinars and podcasts. Essentially, this Black Belt prep course offers the best of both worlds, making it our top pick for all future project managers! Demo ຂອງລາຍວິຊາ: Since this Lean Six Sigma Black Belt course costs a lot of money, students who are intimidated by this price can try a free course demo. This demo provides an example of Lean Sigma Corporation’s eLearning module and should help students decide if it’s the right course for their needs. ສາຍທາງລຸ່ມ: Lean Sigma Corporation offers excellent video content and more than enough PDU’s to make it one of the best Lean Six Sigma Black Belt courses available to students. They even offer a demo in order to quell any anxiety from unsure students. Exam Included: A major perk for students enrolling in MSI’s Lean Six Sigma Black Belt course is that they can take the actual exam at the very end. This exam is proctored by MSI and is open-note, meaning that students are encouraged to write cheat sheets or crib notes for use during the exam. Course Access: Everything a student needs to study the material, sit for the exam, and achieve professional accreditation is included in MSI’s Lean Six Sigma Black Belt course. In order to ensure that students have enough time to complete all these study materials, MSI provides a full year of course access. No Videos: It may come as a surprise to some students that MSI’s online Lean Six Sigma Black Belt study program contains no video content whatsoever. Although they still offer a lot of helpful educational material, the lack of video lectures will dissuade visual learners from giving this course a try. ສາຍທາງລຸ່ມ: Students who are interested in maximizing their chances of passing the Lean Six Sigma exam while saving time will appreciate MSI’s prep program that includes an open-note certification test. ລາ​ຄາ: While it isn’t the cheapest option on this list, SimpliLearn’s online Lean Six Sigma Black Belt study course is one of the best options around for students on a budget. 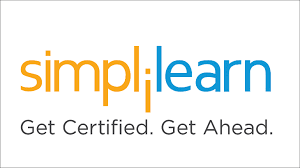 It’s rare to find other courses that offer the same features as this one with a price below $1000, let alone below $500 like SimpliLearn. Industry-Specific Projects: Simplilearn puts students to the test with real projects from specific industries. Many of these assignments will require students to work with a business as part of their LSS team, providing valuable work experience and a hands-on look at project management in specific industries. Access Time: It’s true that SimpliLearn provides students with an extremely effective set of Lean Six Sigma Black Belt study materials that will be incredibly helpful acclimating them to the world of project management. ແຕ່ຫນ້າເສຍດາຍ, students will be limited to an access period of six months to complete all of this coursework. ສາຍທາງລຸ່ມ: While some certification programs are largely theoretical, SimpliLearn designed their Lean Six Sigma prep course for the real world with a focus on specialized fields and scenarios. Study Time: Students who sign up for GreyCampus’ online Lean Six Sigma Black Belt course will be guaranteed a thorough lesson plan with ample time going over all of the included study material. Even their most affordable Black Belt study package contains more than 200 ຊົ່ວໂມງຂອງທີ່ໃຊ້ເວລາສຶກສາ. 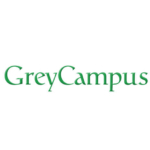 ເພີ່ມບັນຊີເປັນມືອາຊີບ: GreyCampus’ LSS courses are all certified by the IASSC for their ability to educate students on this highly acclaimed project management ideology at the professional level. Black Belt students can rest assured that their time and effort spent completing this course will not go unappreciated. ສະຫນັບສະຫນູນລູກຄ້າ: In situations where enrolled students needed to contact GreyCampus’ support team in order to resolve problems with their Black Belt course, their experiences have been less than ideal. Communication options are limited to email, and the wait time is fairly long for these issues to be resolved. ສາຍທາງລຸ່ມ: So long as enrolled students don’t need to reach out to their support team, GreyCampus is an excellent fit. They offer an in-depth course with instructor assistance and over 200 ຊົ່ວໂມງຂອງທີ່ໃຊ້ເວລາສຶກສາ. ການຢັ້ງຢືນໂຄງການທີ່: The Pyzdek Institute ມີການຢັ້ງຢືນໂຄງການທີ່ວ່າແມ່ນທັງສອງໄດ້ຖືກຮັບຮູ້ຢ່າງກວ້າງຂວາງໃນບັນດາບໍລິສັດແລະເປັນເອກະລັກໃນຕົວຂອງມັນເອງ. They even work with nonprofit organizations to provide master level project certifications for LSS Black Belt students. ແຜນການຊໍາລະເງິນ: Pyzdek’s online Lean Six Sigma Black Belt course are offered at an intimidatingly high price. ຢ່າງໃດກໍຕາມ, they offer various payment plan options for students who have budgetary concerns so they can avoid worrying about their bill and just get started studying ASAP. Guarantee: Unlike many of the other Lean Six Sigma Black Belt courses listed here, Pyzdek doesn’t offer any kind of money back or score increase guarantee. When coupled with its high price and lack of a trial or demo, many prospective students may not want to take a risk on this course. ສາຍທາງລຸ່ມ: Pyzdek approaches the Lean Six Sigma study process in a way that is fundamentally sound and drastically different from the majority of competing study programs, making them an excellent choice for students.